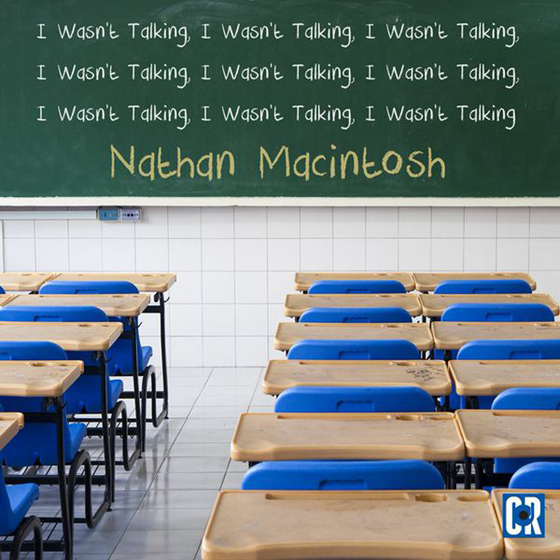 Nathan Macintosh bursts into his finely crafted new album condemning his own high-pitched, Disney hamster voice. "You know anytime you hear a black comedian do the voice of a white guy? That's my voice man!" It's interesting because, when he gets revved up to Tasmanian Devil speed, he actually sounds the most like Eminem storming through stories in a manic Slim Shady tone and cadence. A Canadian Comedy Award winner, Macintosh tells personal anecdotes about being perceived as gay for not drinking beer and owning a tiny Chihuahua dog that he claims was left at his door in a sack. His attitude, tone, and presence often work as a punchline in itself; his writing is sharp but it's really his performance that sells so many bits like "Grew Up Without a Dad," "McDonalds Night Shift Workers," and "Samsung vs. Apple." "You ever go to Burger King?!" he cries out at one point, in the midst of discussing fast food presentation. "Yo, they don't care at all. Like, every burger at Burger King looks like it was made during a domestic dispute!"